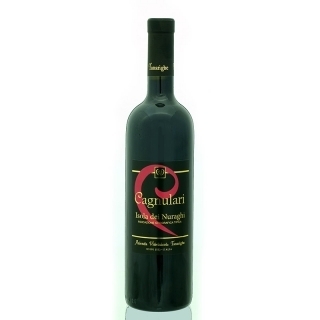 This elegant wine is made from cagnulari grapes grown in the north west of Sardinia, an area renowned to have the perfect soil for this fruit. Deep ruby ​​red colour with excellent balance and typical notes of black cherries, and plum preserve. This is a wine of ample structure, with soft tannin's and it goes well with stews, game, grilled and cured meats, Sardinian cheeses and our spicy salami. Serve at room temperature 18ºC, recommended uncorking an hour before serving.